This month marks a big anniversary. Not my marriage (I’m not married), but the anniversary of leaving the day job. 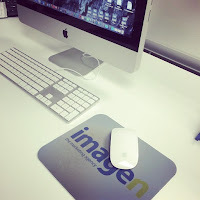 For 10 years I worked as a copywriter in an ad agency. Last year, at the end of May, I left to pursue my writing career full time as well as try to build a freelance business. It’s been an interesting year and not always as successful as I’d hoped. The writing has gone pretty well. I’ve written five books (though some are still first drafts) and self-published three. I launched a new series set in Florida called the Shellwater Key Tales. The books haven’t found as much traction as I’d like and I’ve struggled to make as much money as I did the first half of 2015. There are lot of ups and downs, and I’m still learning so much about self-publishing. My goal now is to try to build up my newsletter list. A list is a powerful marketing tool that ‘I’ can own. Trying to get the systems in place to do that. In other good news, I've signed with a new agent. Although I’ve been on the self-publishing circuit the past year and half, I decided to try one more time for a traditional publisher. I guess I still have that dream of being on a store shelf. I really like my new agent. She offered to represent off a PARTIAL, which means she didn’t even have to read the full book. I’m doing some suggested edits now and then we’ll send off this new series. If it sells…well that would be something to celebrate. If not, I’m fully prepared to self-publish them. I think the series should be great. Lots of fun! In other words, I’m trying to run TWO businesses and I’m busier than I’ve ever been. 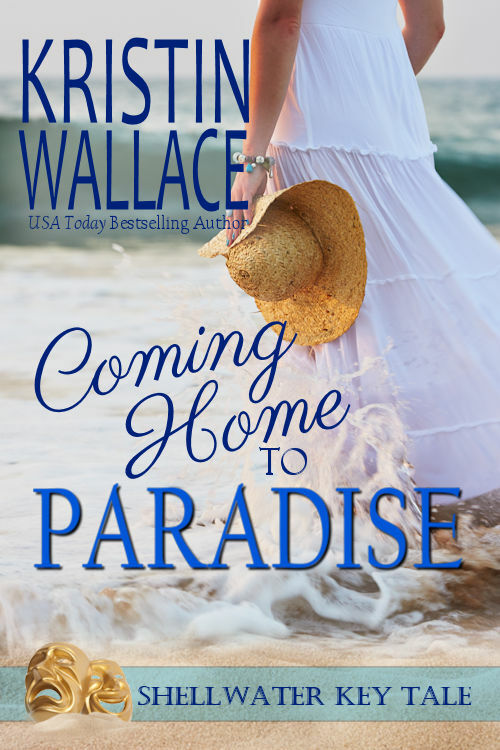 You can help with one of those endeavors by checking out my latest release COMING HOME TO PARADISE. It’s the story of one woman’s journey to connect with the legendary mother she was never able to please…and earn the forgiveness of the daughter who has every reason to hate her. Kristin Wallace is the USA Today Best Selling Author of inspirational and contemporary romance, and women’s fiction filled with “Love, Laughter and a Leap of Faith”. Labels: anniversary, Coming Home To Paradise, freelance copywriting, self-publishing, Shellwater Key Tales, Write Notions Inc.
Wishing you all the best. I left my day job as a tax and financial writer to write books full time a year ago April. It's been a challenge. I haven't written anywhere near as much as you have in that time. Best wishes for success in your writing career. Being self-employed is a challenge in so many ways. My hubby and I are both self-employed. Congratulations on finding a new agent and everything else you've accomplished in the past year. Did you write all of those books within a year? That is amazing. You are inspirational, girl!!! Keep on keeping on! Looking forward to reading this! You have a flair for writing, it is truly inspirational to me. Keep it going, "don't stop till we get enough. ", and then some. I've heard something about it. I mean smart essay rewriter K. Wallace. I'll write here as soon as I'll remember what was that thing I've heard.